This California Boating site is dedicated to California trailer boating! Grab your trailer boat and have some fun trailering your boat to best boat launching ramps in California. 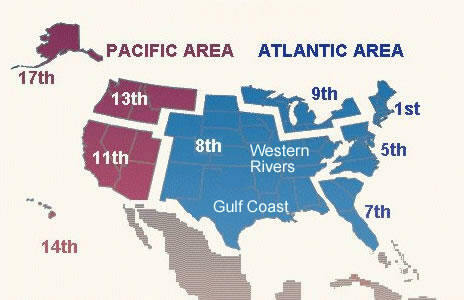 You may view the most recent LNMs from each Coast Guard District by clicking on the map below. Alternatively, you may read the specific boundaries for each District or obtain District contact information and then go to that particular District's LNMs. You may also view the 2004 USCG Light Lists. You will need to download the free Adobe Acrobat Reader to view these documents. Users interested in Canadian maritime navigation and safety information may visit the Canadian "Notmar" site.